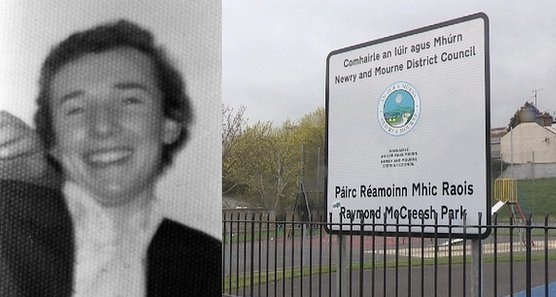 Newry Mourne and Down Councillor Liz Kimmins has said that recent developments reinforced the belief that the SDLP have a stated objective of rejecting the democratic decision of the people of the area to name the area after Raymond McCreesh. Speaking to Newry Times, Councillor Kimmins stated, “McCreesh Park was one of a number of surplus assets that have emerged from the Council’s play strategy review. “The Review showed that of 16 parks across the district, 10 of these fell below play value set out by the categorisation developed by Playboard NI. “This Review was only ratified at the full council meeting on 3 September – yet Raymond McCreesh Park was the only one recommended for D1 process – the process by which council assets are put out for expressions of interest from public bodies to purchase and put to alternative use – at the Strategic Policy & Resources Committee (SPR) on the 13 September. “There was no rush from the SDLP to dispose of any of the others as disposal was not part of this process, a fact which was confirmed by council officials at the most recent meeting. She continued, “At the first discussion on this I asked for assurances around community consultation of the future of the site. Our councillors put this to a council committee two weeks ago but the SDLP joined with others to vote it down. “I again submitted a proposal for community consultation at the full council meeting last night. The SDLP again joined with others to vote to straight to disposal. “The SDLP has a stated objective of rejecting the democratic decision of the people of the area to name this community asset after Raymond McCreesh.